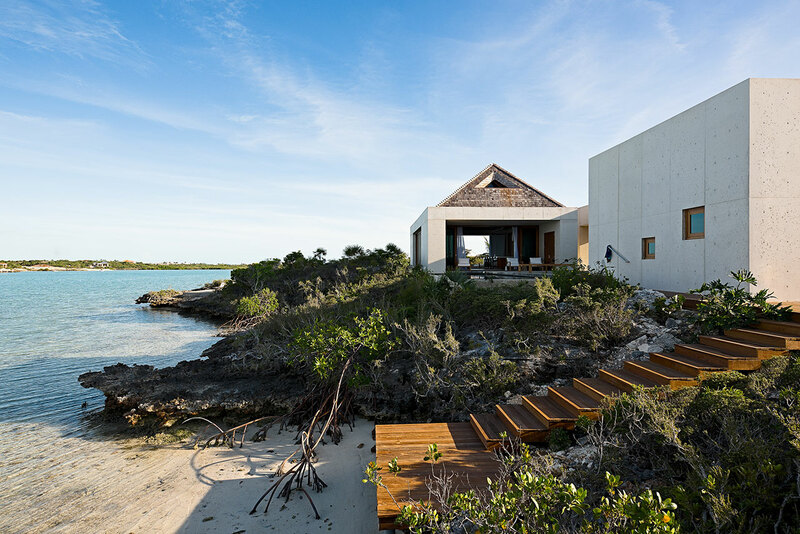 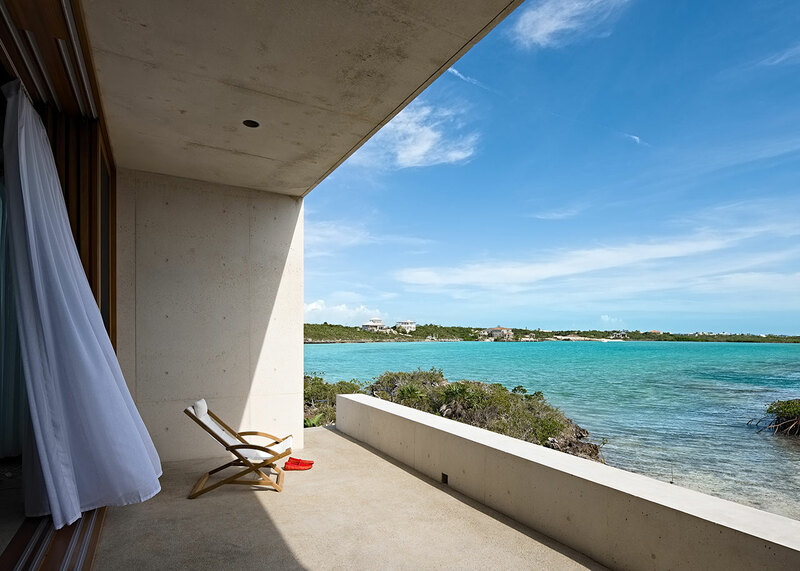 Blessed with an exotic setting, courtesy of a tropical lagoon on the south coast of Providenciales, an island in the Turks & Caicos archipelagos, “Le Cabanon” by Arizona-based Rick Joy Architects is a serene, family retreat that opens up to the natural beauty of its surroundings while ensuring that the occupants’ privacy is only disturbed by the coastal breeze that gently blows through the site. 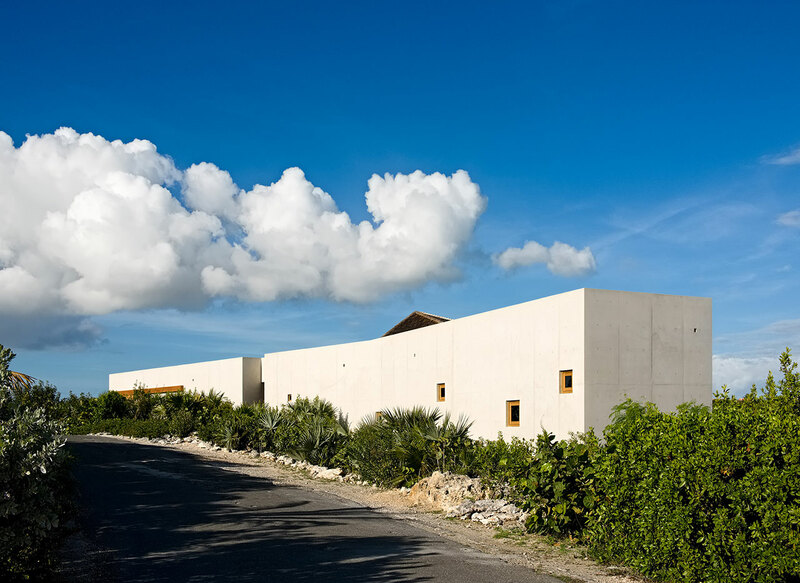 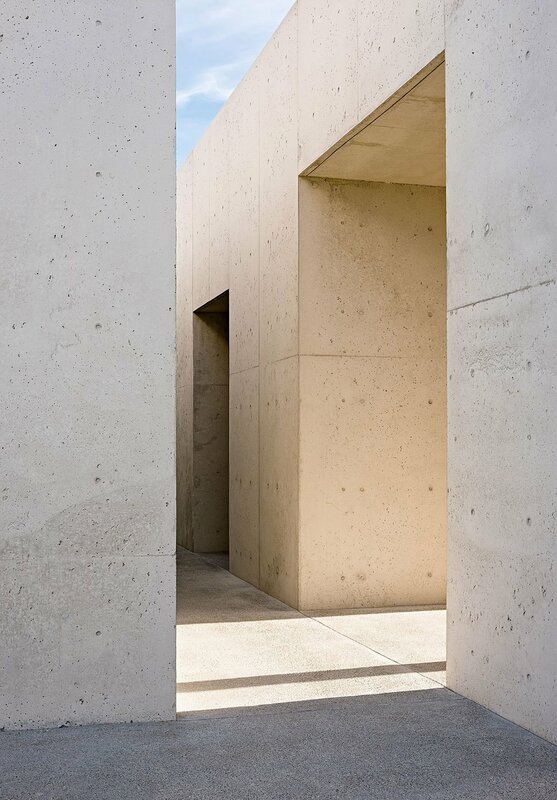 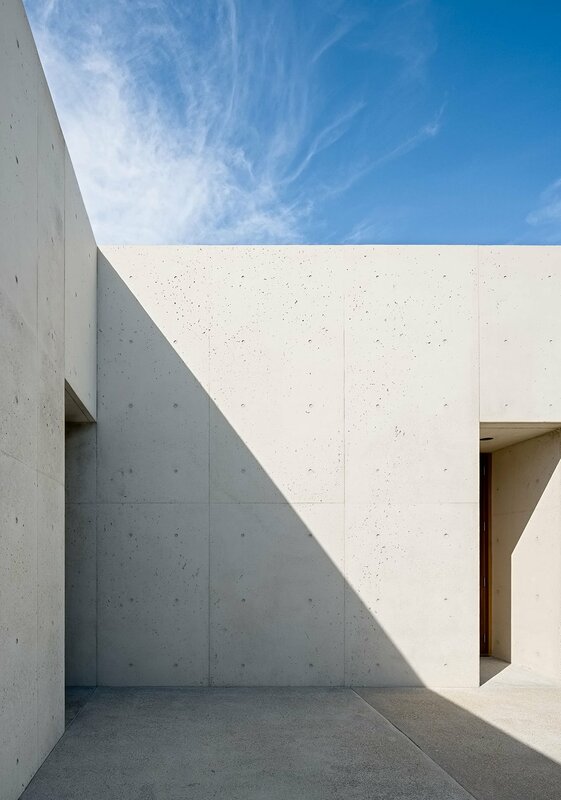 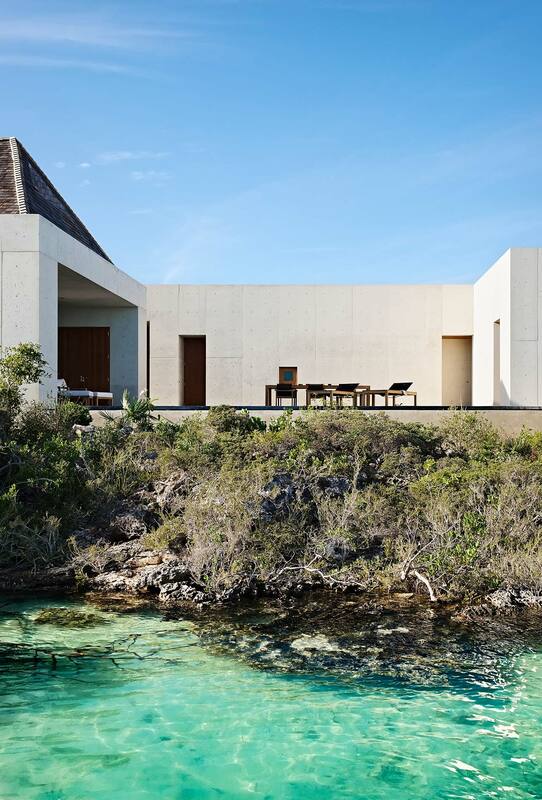 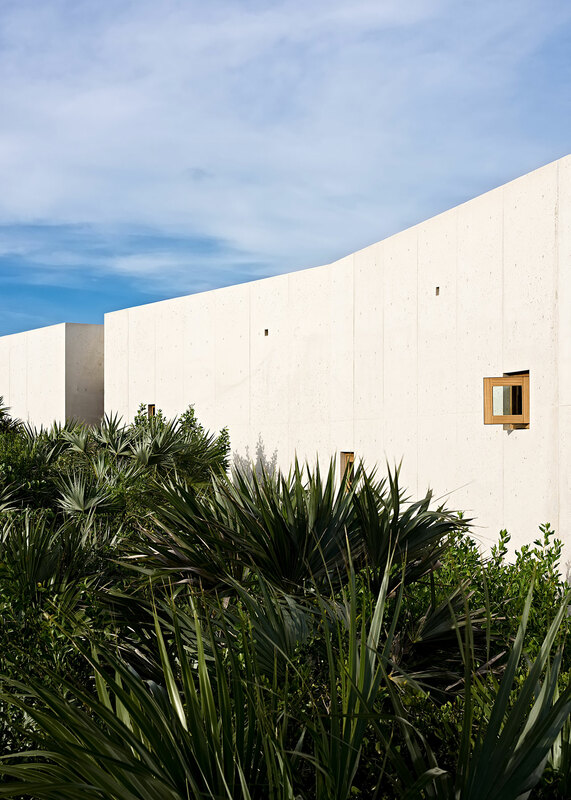 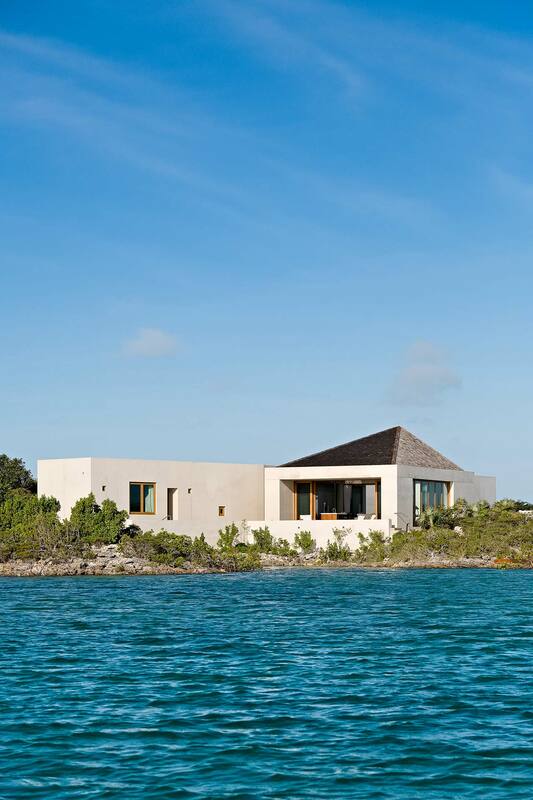 Designed as a discreet, low-rising ensemble of volumes of subtly textured eggshell concrete that echoes the area's limestone coastline, the house harmoniously complements the turquoise waters and lush shrubbery. 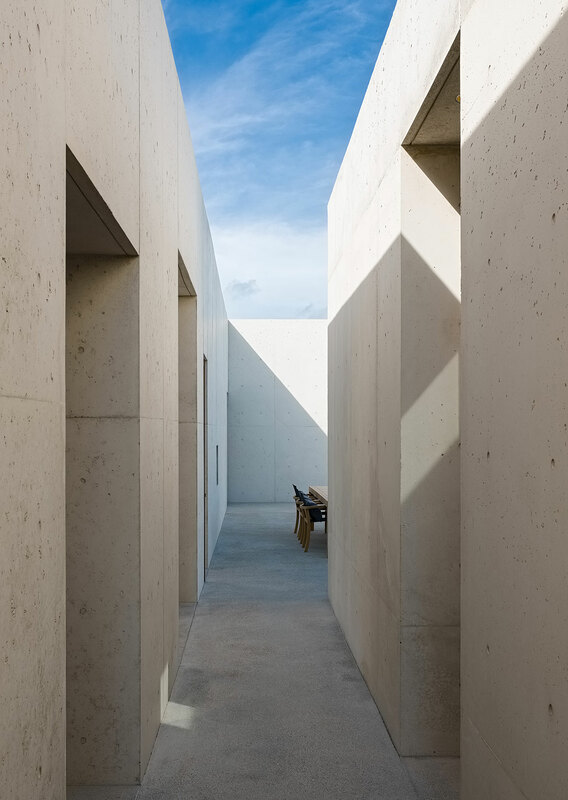 Espousing a modernist sensibility of cubic volumes and minimalist aesthetic, the blocks that make up the residence cluster around a central terrace with the private quarters on the one side and the public area on the other. 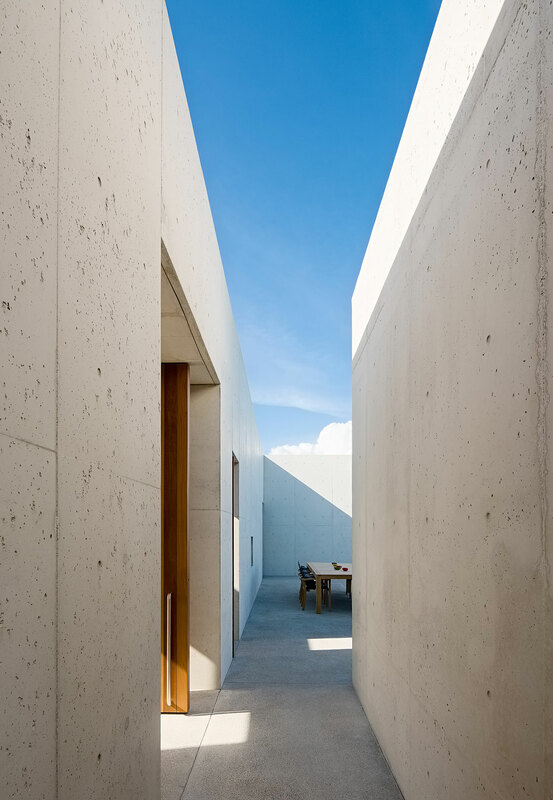 The house turns its back to the street, forming a continuous concrete bulwark, punctured only by few, small square windows which not only protect the interiors from prying eyes but more importantly from the sun’s binding light and solar heat, and the reason why all the large glazed openings are wisely set back into the thickness of the walls to ensure that the afternoon sun is shut out. 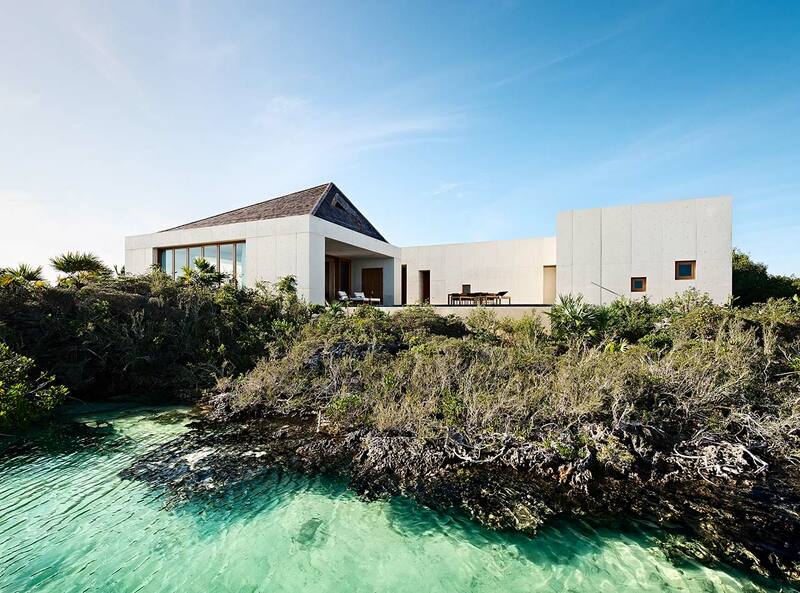 The main living and dining area is housed in a central pavilion, which unlike the other flat-roofed blocks is crowned with a single-hip roof. 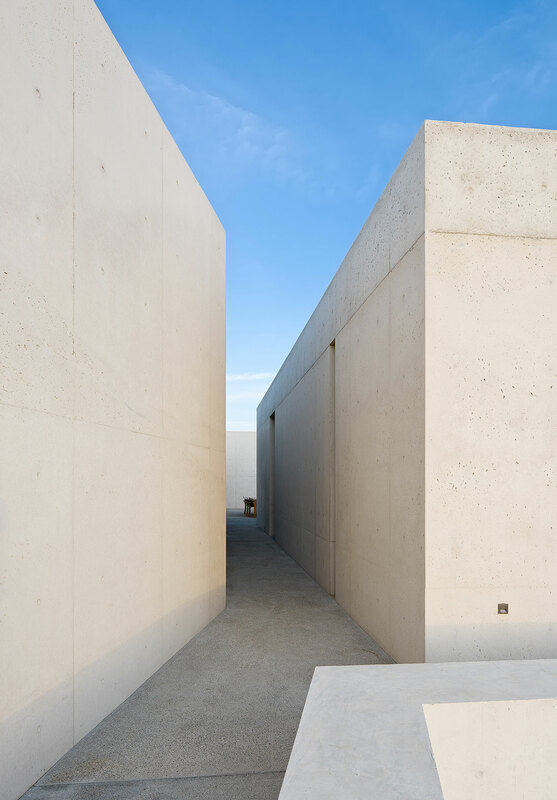 Completely opening up to the main terrace on the one side and a smaller patio on the other, it effectively functions as a semi-exterior space. 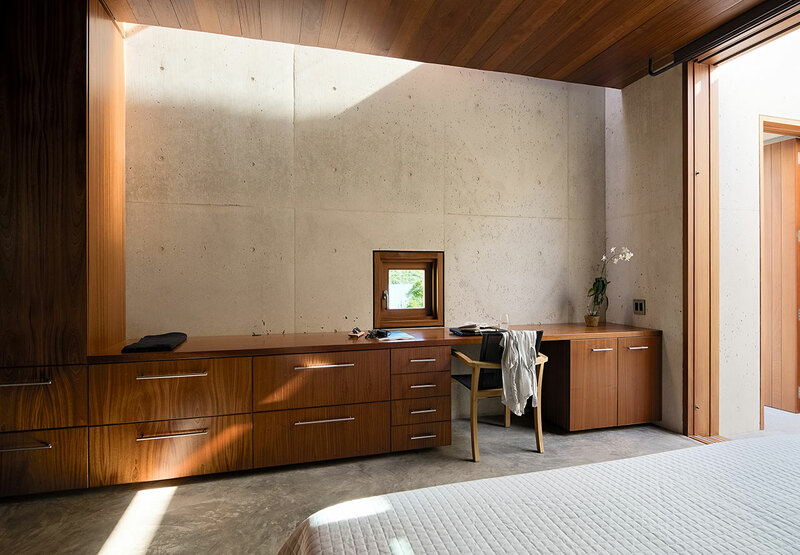 The lopsided roof is not merely an architectural flourish, but also serves as an open-able triangular window that induces a gentle airflow that extracts the heated air from the room. 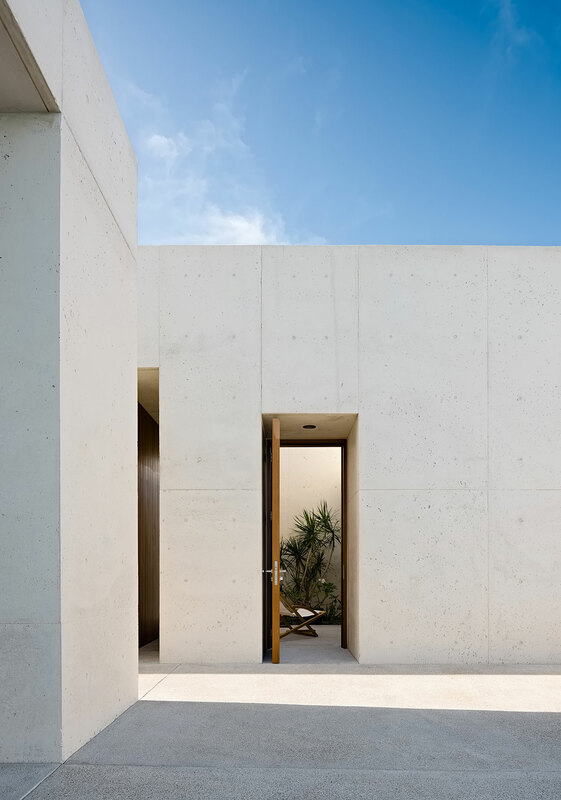 With cross-ventilation in every space, the use of thermal mass and ubiquitous solar shading, the house is passively cooled forgoing the need for air-conditioning. 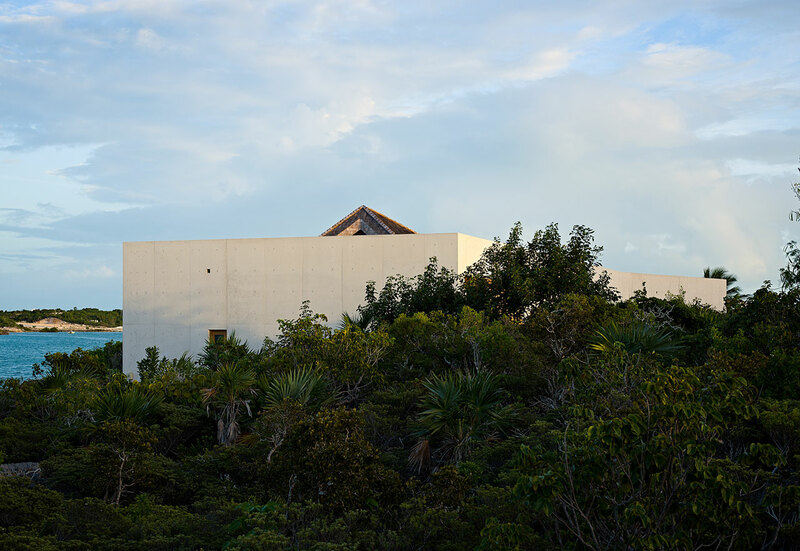 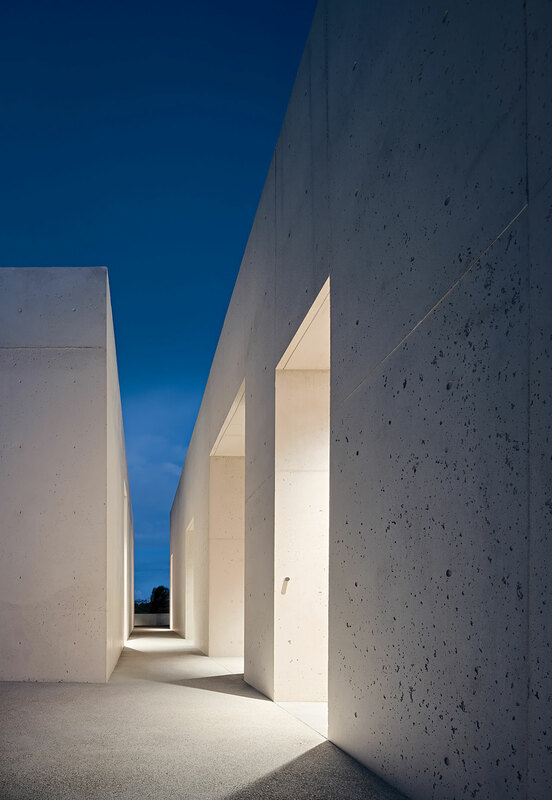 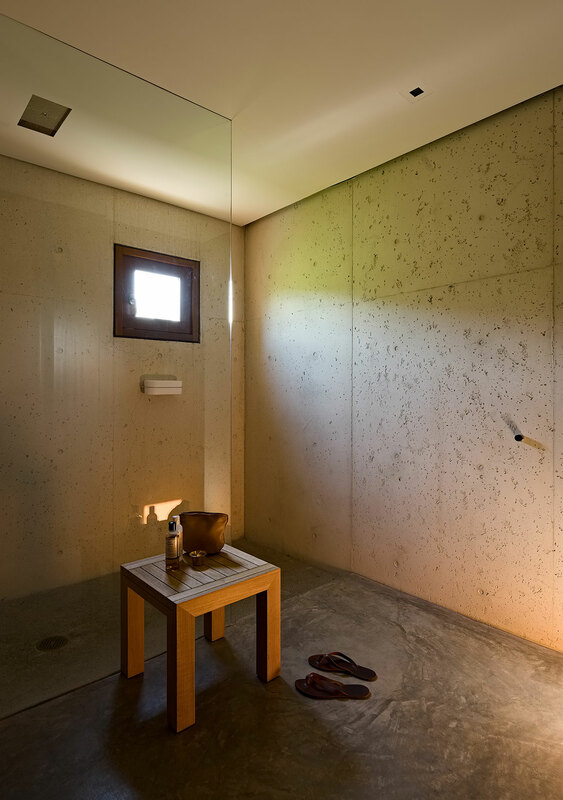 The house's sustainability is further enhanced by the large cistern that the architects designed beneath the main terrace to harvest water and the photovoltaic panels installed on all the flat sections of the roof. 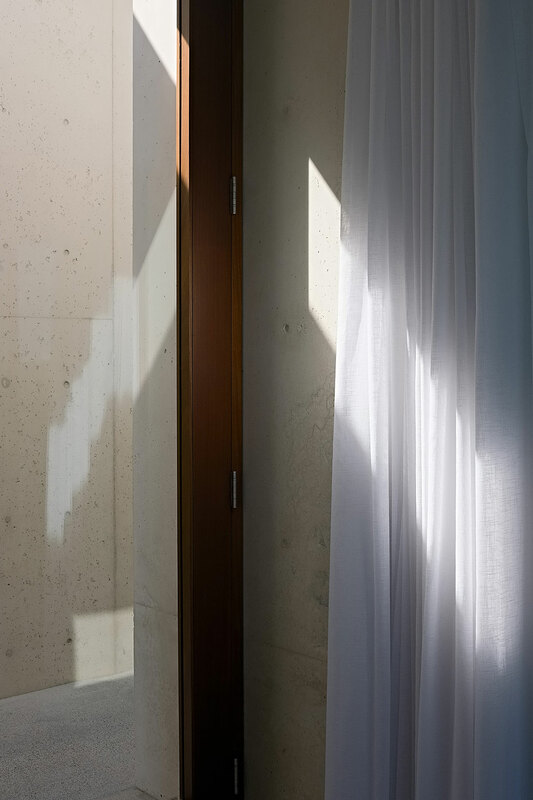 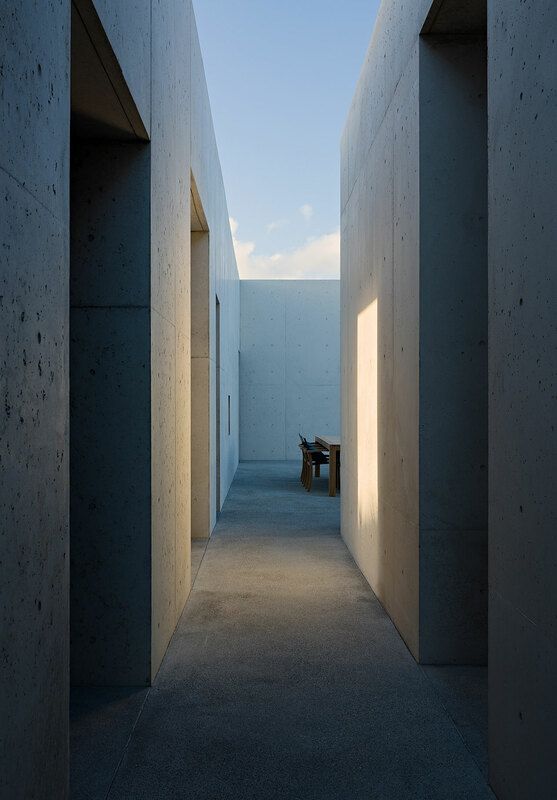 Whereas the communal spaces are fully integrated into the house’s exterior areas, the bedrooms are much more introverted and secluded spaces, eschewing sea views and large balconies for interior courtyards, small skylights and intimate peaks out onto the nature outside. 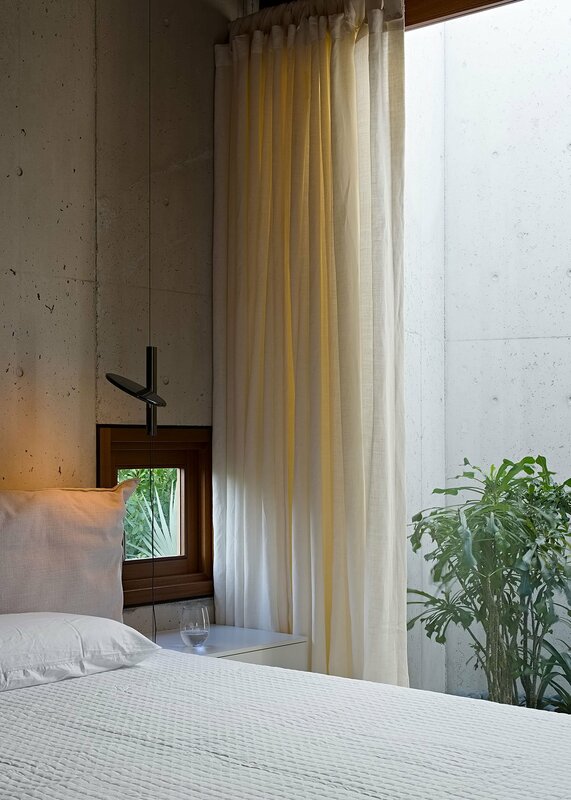 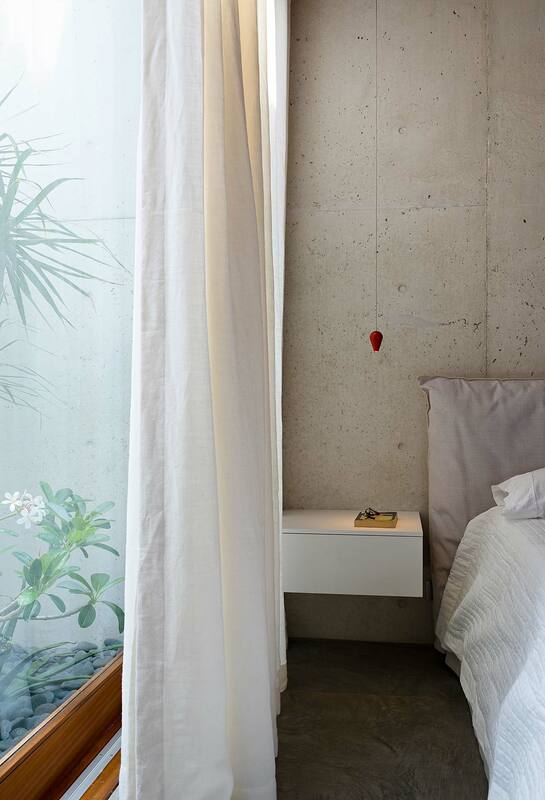 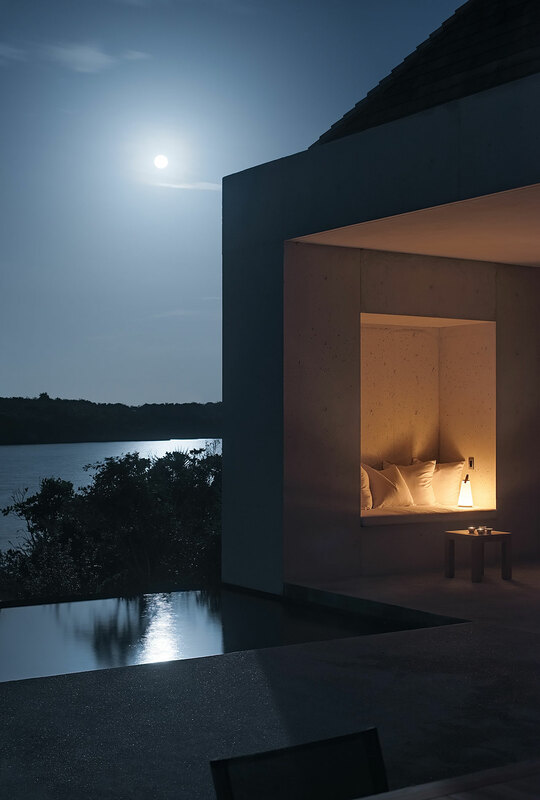 Pendant lights that hang like flower buds and linen curtains gently billowing in the ocean breeze further enhance the Zen ambiance that the architects have established, creating the ideal abode where the occupants can relax after a day in the sun or a night of socializing. 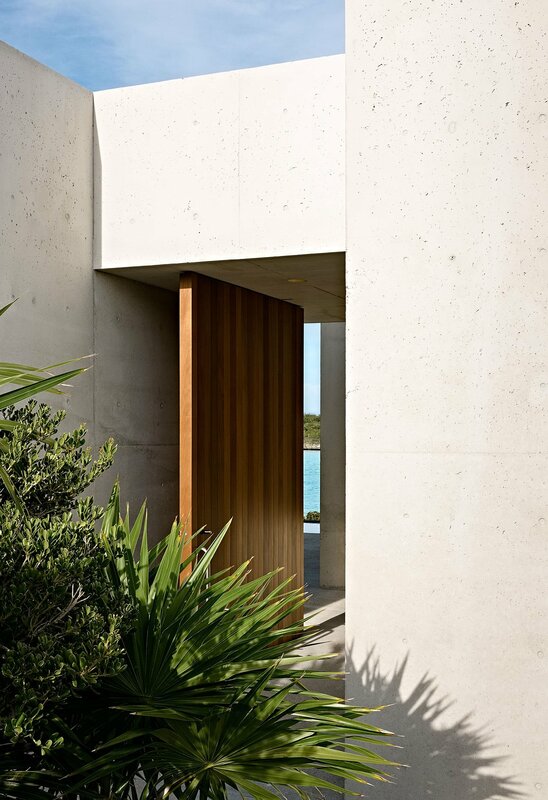 The interior décor combines the minimalist coolness of the exposed eggshell concrete walls and grey floor screed with the exotic warmth of mahogany featured in the doors, windows and ceilings, a combination that lyrically echoes the surrounding vegetation that adorns the sandy coves and rocky shores that stretch as far as the eye can see. 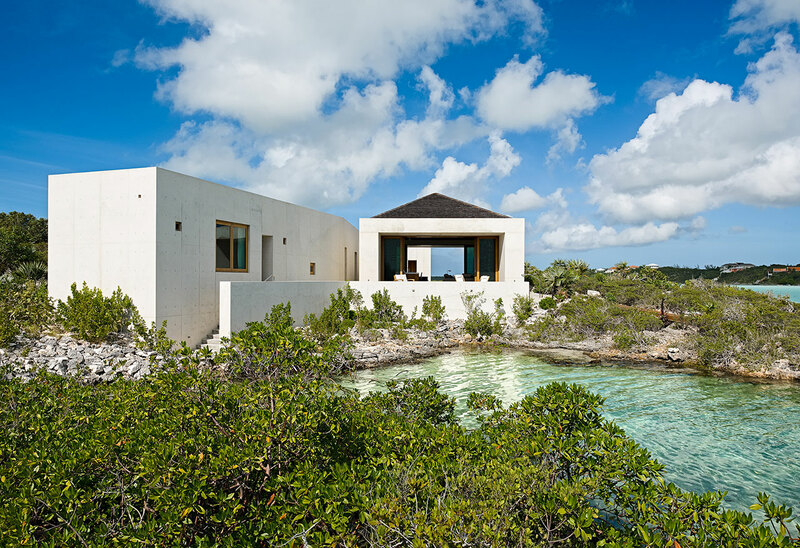 It is indeed a magical landscape that the residents of “Le Cabanon” can best enjoy lounging with a glass of wine next to the terrace pool that visually segues with the azure waters of the sea.